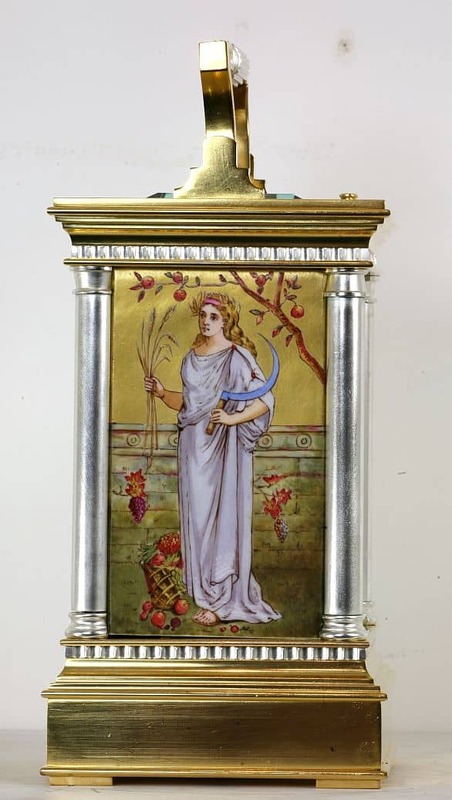 A FRENCH PORCELAIN PANELLED STRIKE REPEAT CARRIAGE CLOCK IN A MULTI COLOURED ANGLAISE CASE. CIRCA 1890. 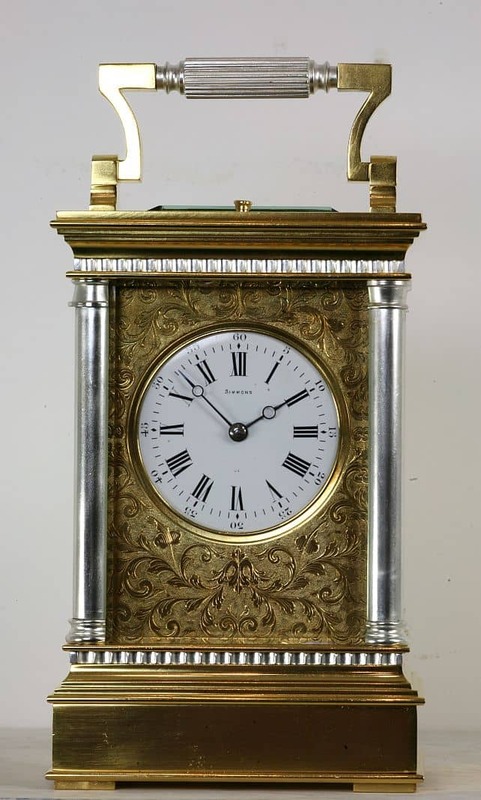 An extremely attractive Anglaise cased carriage clock. 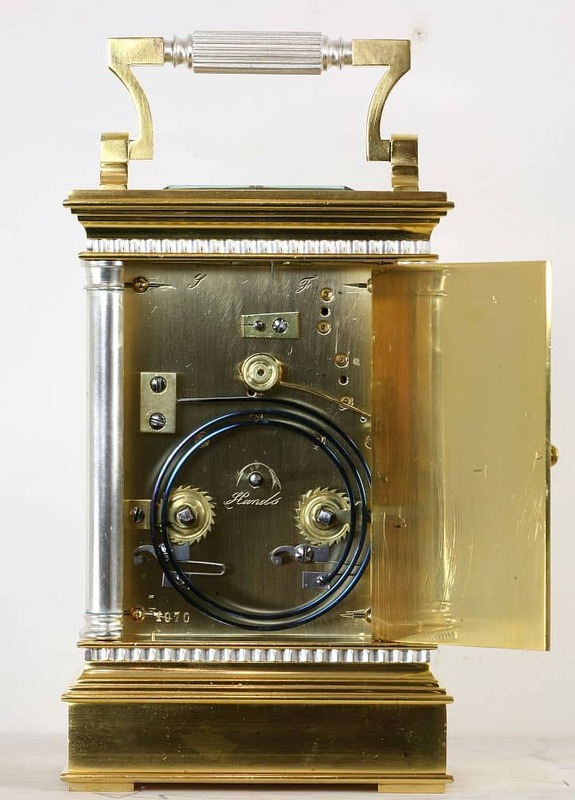 The case with silvered centre to the handle, the four columns and the top and bottom dentil mouldings and with gilding to the rest of the case. 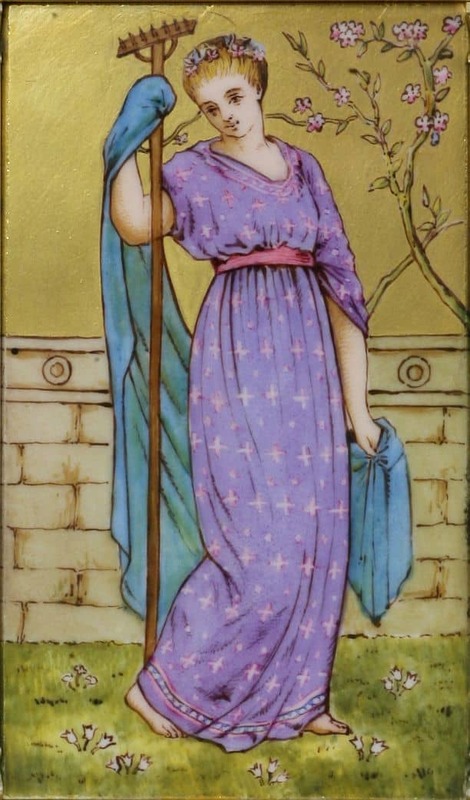 The two side panels show mythical goddesses against a gold background with fruit and blossom. It has a solid brass rear door. The dial, with a finely engraved gilded mask, is signed for the retailer ‘Simmons’. The eight day gong striking movement, numbered on the backplate 1070, strikes on the gong and repeats at will. 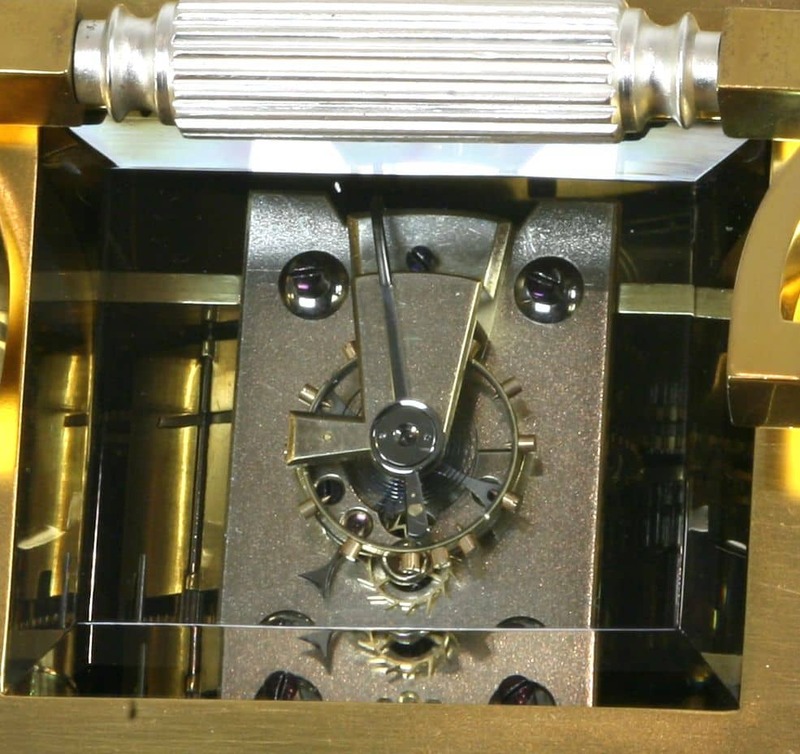 It has a fine quality silvered lever platform escapement with split bi-metallic balance and poising screws. The clock has its original numbered travelling case.